12 to Midnight Halloween Sale! Howdy, gamers! 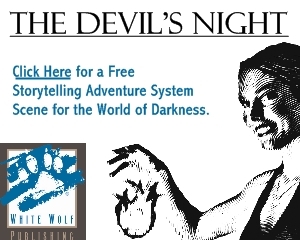 If you’re a horror gamer, or if you’re just looking for a special one-shot to run for Halloween, now is the perfect time to check us out. We at 12 to Midnight are having our annual Halloween sale. All our modern horror titles for d20 Modern and Savage Worlds are 50% off! 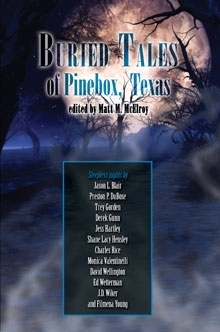 We are also offering an insane deal on our horror anthology Buried Tales of Pinebox, Texas. 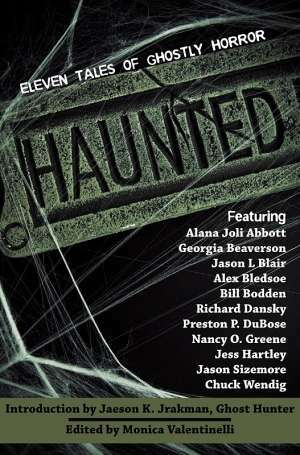 You can pick up this tome of terror by leading RPG designers like JD Wiker, Chuck Rice, Jess Hartley, and Shane Lacey Hensley, plus horror novelists David Wellington and Derek Gunn… all for $0.99! Why would we put this book on sale for 80% off? Reviews. In exchange for practically giving the book away, we hope you’ll take a few moments to write a review on one of your favorite sites, be it LibraryThing, Amazon, Facebook Visual Bookshelf, or your own blog. It’s an awesome book, and we would appreciate your help in spreading the word! Finally, if you’re a fan of our Modern Floorplans, we’ve got good news for you, too! We recently released Modern Floorplans Volume 4: At Home, a collection of 4 home-themed maps, including the ENNIE-Nominated Victorian-Style Mansion. Save $1.34 over buying them individually. The sale ends on Day of the Dead — November 2 — so stock up and save!